Hi everyone! 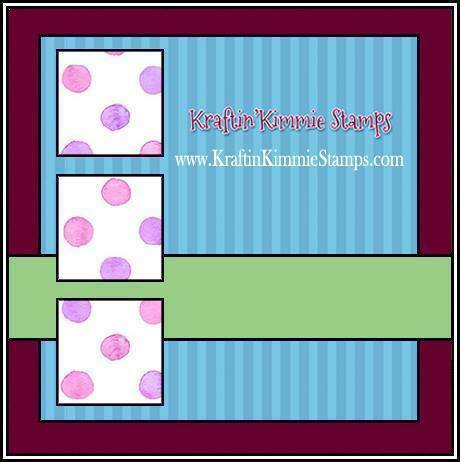 Welcome to another challenge at Kraftin’ Kimmie Stamps! We always enjoy your creations so be sure to submit them so you can have a chance to WIN a $20 gift card to the Shop!! Show us your stuff!! In keeping in line with the rest of our challenges (Wonderful Wednesday and our NEW Krafty Scrappy Challenge), we will be drawing one winner per month from all Saturday Challenge entries to win a $20 gift card!! You can enter as many times per month as you’d like!! Did you see?!?!?!? You get to MAKE YOUR OWN SALE!!! In honor of the long weekend in Canada (Victoria Day), Kimmie is offering a 20% off coupon code! Use code QUEENVICKY to get 20% off your entire order (excludes NEW category). 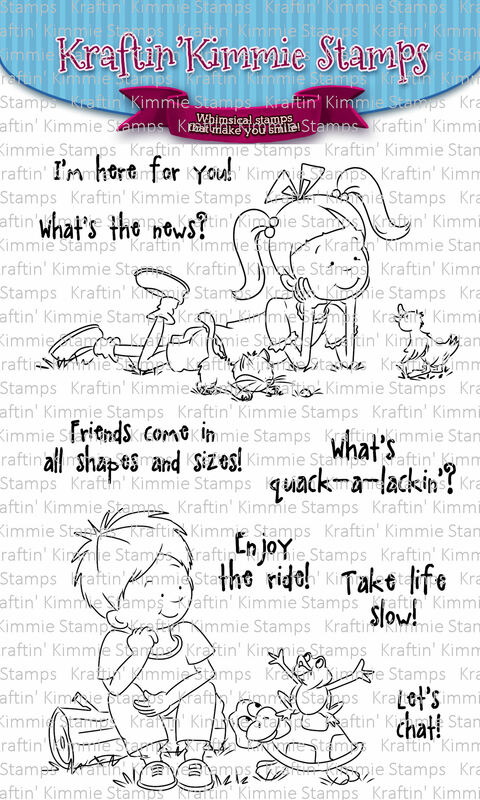 Now create a card, scrapbook page or altered item with a Kraftin’ Kimmie Stamp or any other stamp and be sure to use our THEME as a starting point for your creation!!! You will have until May 26th at 11:55 pm EST to get your entries in! The challenge for this weekend is SPRING! I chose this super cute stamp set Talk to The Animals because to me – this is Spring. Chilling outside watching nature.